This summer, Bob’s Red Mill challenged me to come up with a recipe that defines how I “fuel awesome”. I often gravitate toward no bake snack recipes. 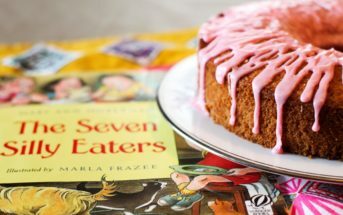 But this year is especially hot, and seems to be calling for delicious ways to cool off. Naturally, dairy-free ice cream came to mind. I wanted it to be a treat, but energizing and nutritious, too. It needed to be POWER ice cream. 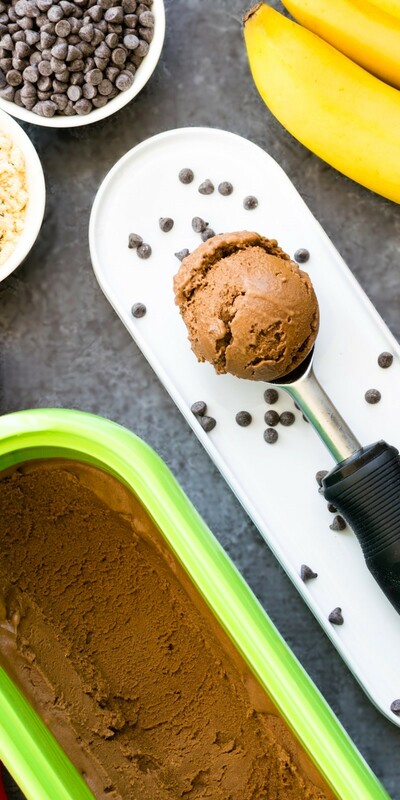 This fudgesicle power ice cream is rewarding and fulfilling, but it also has a snack-worthy nutrient balance. It includes fruit for natural sugars, potassium, and other great micro-nutrients. I add some nut or seed butter to provide healthy fats, fiber, and protein, and to amplify the rich, creamy consistency. Plus, your choice of milk beverage can add a dose of calcium and vitamin D to your day. 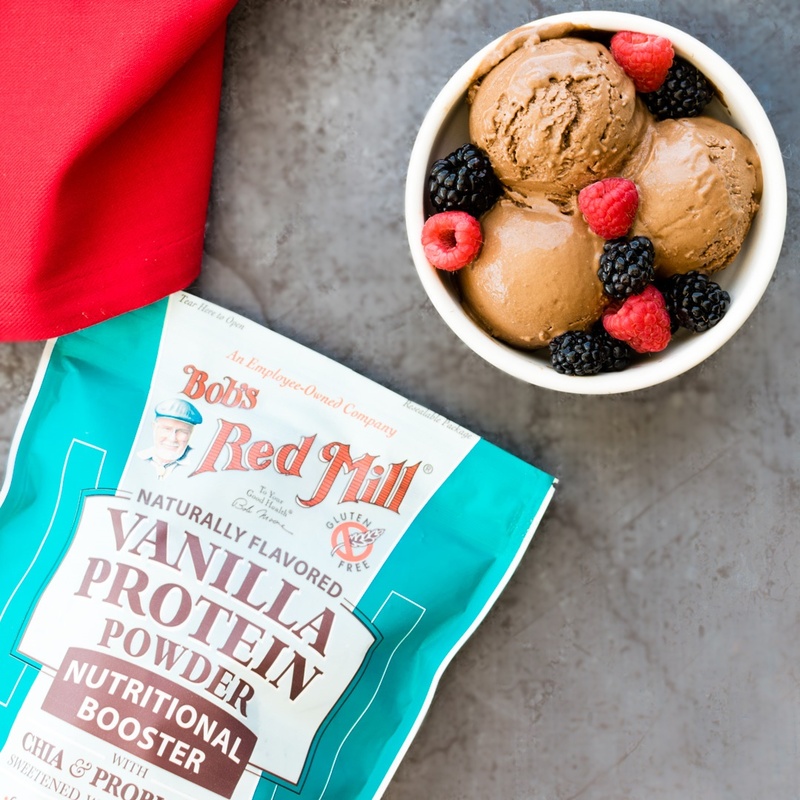 But my favorite sneaky ingredient in this super-chocolaty power ice cream is the Protein Powder from Bob’s Red Mill. It is made with plant-based pea protein for a creamier finish, and seamlessly packs in a big nutritional boost. It contains just six ingredients, but is loaded with fiber, omega-rich chia seeds, probiotics, and of course, protein. In fact, those 2 scoops add 20 grams of dairy-free protein! 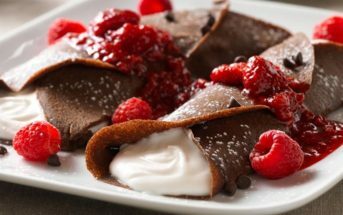 The pure indulgence factor in this recipe comes from melted dairy-free chocolate. 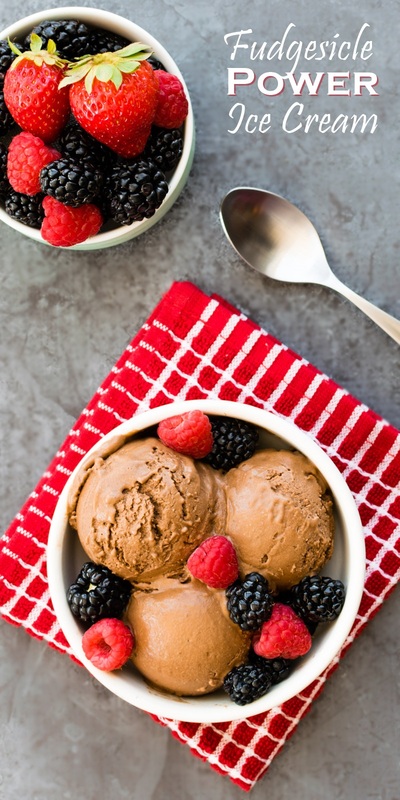 Most healthy chocolate ice cream recipes use just cocoa powder. But the cocoa butter in chocolate creates a naturally creamy finish that doesn’t taste like coconut! I often use semi-sweet chocolate for a classically sweet treat, which is still much lower in added sugars than a typical yogurt. However, you can use dark chocolate to lower the added sugars by up to 5 grams per serving. You might be wondering why I didn’t use the Chocolate Protein Powder from Bob’s Red Mill in this fudgesicle power ice cream. It would be delicious, but we love the underlying flavor notes of the other two varieties. In my book, Vanilla heightens and compliments the chocolate experience. And the Chai adds this unique but delicious spice. Tony said it tasted like a fudgesicle, but with this “neat cinnamon flavor”. 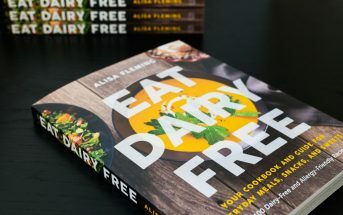 By ingredients, this recipe is dairy-free / non-dairy, coconut-free, egg-free, gluten-free, optionally nut-free, optionally peanut-free, soy-free, vegan, plant-based, and vegetarian. 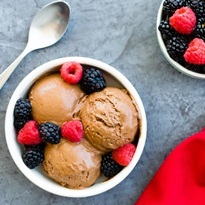 Instead of coconut, this unique dairy-free ice cream has a rich chocolate base. It's also infused with nutritious plant-based ingredients. The hands-on Prep time for this recipe is minimal. But allow time for freezing the ice cream maker insert and churning the ice cream. Melt the chocolate with about half of the milk beverage (3/4 cup) in your microwave, on the stove top, or in a double broiler. Place the remaining ¾ cup milk beverage, nut or seed butter, protein powder, and salt in your blender. Add the melted chocolate mixture and blend until smooth, about 1 minute. Add the frozen banana chunks and blend until smooth, about 1 minute. Churn the mixture in your prepared ice cream maker, or use one of these methods if you don't have an ice cream maker. Enjoy as soft serve or pack the soft ice cream into a freezer-safe container and freeze until solid, about 3 hours. This fudgesicle ice cream is not icy, but very rich, so it sets up firmly. If needed, let it sit at room temperature for 20 minutes before scooping. Banana-Free Option: Blend 4 large, soft, pitted medjool dates with about 1 cup unsweetened dairy-free milk beverage until smooth. Use this in place of the banana. This post is sponsored by Bob’s Red Mill, but the opinions, recipe, and photos are all my own. For more delicious ways to fuel awesome, follow them on Facebook, Instagram, and Twitter. And to make your own power ice cream, purchase the Nutritional Booster Protein Powders on Amazon. This is such a healthy ice cream recipe! It would be perfect after my long runs. It’s great as a recovery treat! I’ve enjoyed it this way myself 🙂 Good ratio – close to the 4:1. This sounds delicious! 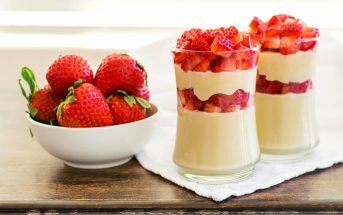 I think it is the perfect way to get our summer protein into the kids!! Oh and me…because ice cream is life!! Haha, I hear ya Sophia. Ice cream is THE dessert in my opinion. This ice cream looks ridiculously amazing! I can’t believe how creamy it is! It really is as rich and creamy as it looks, too! It freezes up firm, but no iciness at all. This looks amazing! Definitely going to need some in my life. I think my kids would even go for it. Looks so creamy and delicious! Yum! Perfect summer treat! I love sneaking protein powder into ice cream too! Looks soooo good! This was my first time, but it won’t be the last! Love the addition of protein in here! This ice cream sounds really awesome. I have got to make this! Bananas, chocolate and peanut butter sounds like a dream plus protein sends it off the charts! I adore ice cream! This one looks so rich and creamy! I bet it’s delicious! I honestly surprised myself with how rich and creamy this came out. Thanks Sonali! I’ve never made my ice creams anything but sweet treats but I love the idea of this power ice cream. Such a great addition to my favorite treat! Oh my goodness! Fudgesicles were my favorite treat when I was little, and now I can’t wait to try this recipe! I hope you love it Dianne! I’m scared to use the product with the chia seeds in it. I can’t eat tiny seeds (not even as small as strawberry seeds!) without a LOT of problems. Is there another dairy free protein powder you can recommend? Or is there something else to substitute for that so that I could still make this? Hi Carol, chia seeds are a bit different, as they gel and soften when wet. When blended, they completely grind up. They’re very different from other seeds when soaked, blended or baked. Wowzers… that looks like it would be fabulous to eat right about now. So delicious and tasty it’s jumping right out of the screen. I could eat ice cream every day in the summer! And a recipe like this that also packs a huge protein punch is a winner in my book! You had me at power and I’m loving this combo! Can’t bet a healthy ice cream alternative, especially when it looks so creamy! ice cream has been on my list for awhile, and since I promised myself this weekend I would finally get back to meal prep I’m going to try this! Awesome! I hope you enjoy it Amanda. Gotta love a dessert with benefits. Being that I’ve already got the ice cream maker churning 24/7 to make scoops for the cafe, I might just cut straight to the chase and freeze up the base in pop molds like traditional fudgesicles. I don’t think you can go too far wrong with that formula. So now you’ve got me craving Fudgesicles. This looks amazing!! This sounds delicious! We are not able to use bob’s red mill products because of a nut allergy. How much chia seeds or flax meal could we use as a substitute? That’s a bummer Leslie! I haven’t tested it, but I think 2 tablespoons chia seeds would work instead.